Tired of guessing at the location when installing picture hangers on the wall? The problem can be solved by applying tape to the frame's hanger, and then pushing a thumbtack through the tape as shown here. Perfect Placement. Next, position the frame and push the tack into the wall to get a precise hole for mounting your picture hanger. 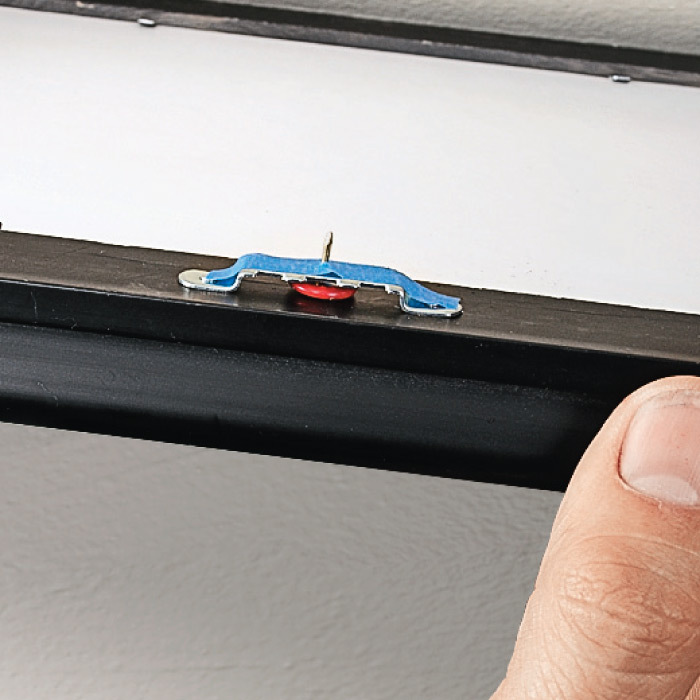 Remove the tape and the tack, and you’ll be able to hang the frame exactly where you wanted it.